Registration is now open for the "Electron Microscopy for Biological, Environmental, and Energy Research (EMBEER) Symposium." Organized by the Chemical Imaging Initiative and EMSL at the Pacific Northwest National Laboratory, the conference will be held on July 29-30 at EMSL in Richland, Wash. EMBEER will be held the week before the Microscopy and Microanalysis 2015 meeting in Portland, Oregon. EMBEER will focus on recent developments in instrumentation and methods, biological and environmental research, energy storage and conversion materials, and materials properties and processes utilizing microscopy. Activities include an open house at the EMSL Quiet Wing, which houses a number of state-of-the-art, high-resolution imaging capabilities. EMBEER agenda. A. Scott Lea, senior research scientist and EMSL capability lead for Microscopy, and Nigel D. Browning, PNNL Laboratory Fellow and Chemical Imaging Initiative lead, co-chair the conference. If you would like to present a poster, please send your poster abstract by July 15 to connie.grytness@pnnl.gov. 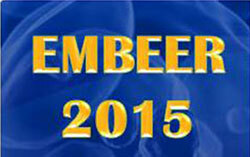 Registration, lodging and other information is available on the EMBEER 2015 website.